My favorite little cartoon character when I was a kid was a certain Rainbow Brite, and while I probably couldn’t rock the latest unicorn hued hairstyles, Modelsprefer have created a deliciously sparkly mineral powder palette that shimmers and shines through all the colours. I often find with illuminator products or shimmery eye shadows, that the shimmer only sits on the top layer of the product. These highly pearlised powders have to been seen to be believed. As I accidentally dropped the container I can even tell you that the shimmer lasts down to the last drop. I’ve been wearing the pink as a pop on my cheeks above my blush, and it must have been doing its thing as one of my besties thought I’d had more cheek fillers (that’s another story) The blue, green and yellow have all had turns on my eyelids and the purple has even been mixed with a little gloss on my lips. 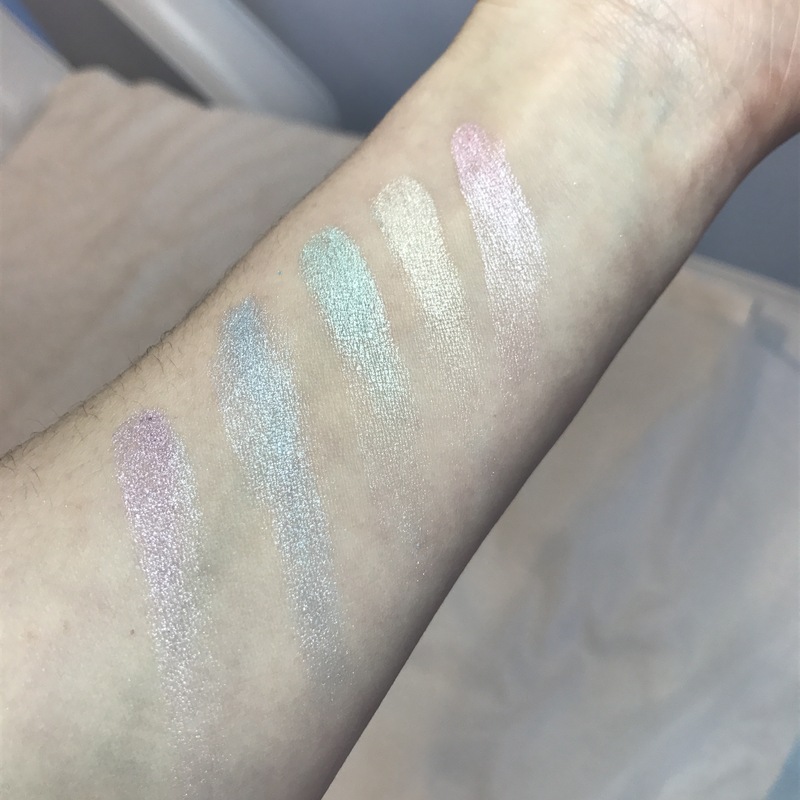 These are pastel colours, they light up your face and the colours are true to what you see in the case. I even had fun playing with my almost two year old, using it for a little rainbow face paint fun. You can find this at your local Priceline, I’m going back for a second as I never want the fun to end. And at $16.99 might get one for the bestie .. Previous Post To tone or not to tone, that is the question? Next Post Maybe she is born with it…Maybe its a contour kit.. Very well written. Reads like a magazine. Great job!